In this installment of my series examining the BGC’s reactions to Vietnam, we’ll look at the years defined by the Gulf of Tonkin resolution and the start of the Tet Offensive (1964-1967). And, as I discussed in the previous post in the series, I’ll be careful to note where the BGC’s responses converged and contrasted with those of fundamentalist, evangelical, and mainline Christian institutions (if you haven’t yet done so, do read parts one and two of this series for context). Although the Tonkin incident occurred in early August 1964, we’ll begin in January of that year for no other reason than simplicity (the copies of the Standard I’m using are all bound together by year). As it turns out, the start date doesn’t much matter — it would be another eighteen months (June 1965) before the Standard’s editors ran their first article on Vietnam. Nevertheless, those eighteen months of silence are still instructive for at least two reasons. First, I’m self-consciously restricting my analysis to Vietnam-related discourse. That kind of distinction is patently artificial and obscures the fact that the BGC cared, as an organization, about more issues than Vietnam. Indeed, for all the importance I’ve attached to the subject, Vietnam was a decidedly minor issue for the Conference during these years. By the most expansive count, the Standard ran twenty-five Vietnam-related articles between January 1964 and December 1967. That count includes both boilerplate news items (usually part of the reoccurring section “Religious News Highlights”) that contain no editorial shaping and pieces expressing an editorial stance. A discussion of the propriety of Bethel accepting federal funding for physical plant expansion. Beyond those major articles are a smattering of news items, inspiring quotes and scripture passages, and Conference news and updates. Those examples suggest that, far more than Vietnam, the Conference was concerned with the everyday spiritual needs of their members. So although I’m focusing on Vietnam, readers should bear in mind that that focus would have been foreign to Conference baptists. And second, the kinds of commentary the Standard does offer between 1964 and mid-1965 gives us an insight into how the Conference perceived domestic issues and understood their place in world affairs. Andrew Pratt, in examining the early Vietnam era, concluded that “fundamentalists advocated almost total identification between evangelical faith and american patriotism” (83). Fundamentalists understood their relation to the civil government as being one governed by God. Christians were to support their government, and any deviation from staunch support was tantamount to a rejection of God’s authority: “defiance of the government was synonymous with defiance of God’s authority” (169). This stanza … is a prayer. It is a plea, a declaration of faith, a reminder of God’s goodness and of our dependence upon Him. It is a call for continuing patriotism. Carlson concludes the article by reciting Bradford and the Pilgrim’s survival, Washington’s perseverance at Valley Forge, and Lincoln’s Gettysburg address; these tropes in the collective American memory served no explicit purpose in Carlson’s argument save to inspire patriotic feeling — he admitted as much. And set against the cover of the issue (at left), Carlson could hardly fail in his task. The second example comes from a sermon by Robert Wells, a Californian Conference pastor. Entitled “Which Government is Best?,” Wells’ sermon describes three types of governments, then proceeds to give the Christian advice on how to live in the present world. Including himself while speaking to individual Christians, Wells suggests that “We must submit” (emphasis his). Quoting from Romans 13:1 (“Let every soul be subject to the higher powers…), Wells explains what submission entails: “A Christian is an honest taxpayer. He does not fly in the face of the law of the land. He is everything that “law abiding citizen” suggests.” Wells’ argument for submission, couched in theological terms, left little room for the kinds of civil disobedience that the war would provoke in coming years. As these examples suggest, the Conference exhibited a rhetoric of patriotism and willing submission to the government. Yet this simplistic characterization of the relation between Christian and government was also challenged within the Conference in various ways. On certain issues, the BGC displayed a wariness and ambiguity towards the government. Probably the best example of that wariness comes from the extended discussions throughout the latter half of 1964 and first months of 1965. A federal 1963 Higher Education Facilities Act had made possible the application for federal loans by American colleges — Bethel included. Faced by the need to finance academic and residential building projects on the new Arden Hills campus, Bethel’s leaders had requested the Conference approve the school’s application for federal monies. The proposed resolution set off a storm of controversy in expectation of the 1965 Annual Meeting’s authorization vote, a storm centered on the proper relation between a Church-run school and the federal government. …the insidious [loan] process will involve us slowly but surely in the labyrinthine ways of the federal government and gradually cause an erosion of basic Christian emphasis. This is just the beginning, for this law will never be rescinded but will increase, at first so innocently, and finally the tentacles of our federal bureaucracy will have such a grip on us that we will be forced to accept its demands (May 24, 1965 Standard). If that passage is one of the loftier political statements the Standard printed in 1964-1967, it was also accompanied by an uglier rhetoric. Two examples stand out. The first, a November 23, 1964 editorial by the Standard’s editor, Donald Anderson, was titled “Threats to America’s Greatness” and lists exactly the three members of the “unholy trinity” Bogaski identifies in fundamentalist/evangelical culture — in order. Although in Anderson’s judgement “the haunting spectre of communism (No. 1) is the foremost threat of our freedom today,” he also identified Catholicism (No. 2) as a “religious totalitarianism” that “threatens our freedom.” And even though Anderson never mentions liberalism (No. 3) by name, the last paragraphs of his editorial inveigh against the political liberalism of an expanding welfare state and federal regulation of industry. The second example comes from FBI-director J. Edgar Hoover, the author of a three part series on communism in American life, and whom the Standard introduces unassumingly as “a Presbyterian layman.” We’ve already sampled some of Hoover’s language in a previous post, but I think it is important to establish anticommunism as an important discourse in the BGC – as we’ll examine more later. In the first of his three articles, Hoover saw communism as “a highly malignant cancer – a cancer which threatens to destroy Judaic-Christian civilization.” Further, “this rejection of God gives communism a demonic aspect – transforming it into a fanatical, Satanic, brutal phenomenon” (Standard, August 31, 1964). It’s target? Christianity. Hoover’s positioning of communism as an ‘anti-Christianity’ is redolent of a trend Bogaski identifies among conservative evangelicals. One national Southern Baptist leader suggested that communism was a religion while a Nazarene publication alleged communism’s goal “was to conquer the earth and remove the last trace of God from it” (86). Such ideas would come to buttress the Johnson administration’s argument for the war and would also connect to the BGC’s emphasis on chaplains and missions in Vietnam (more on that later). 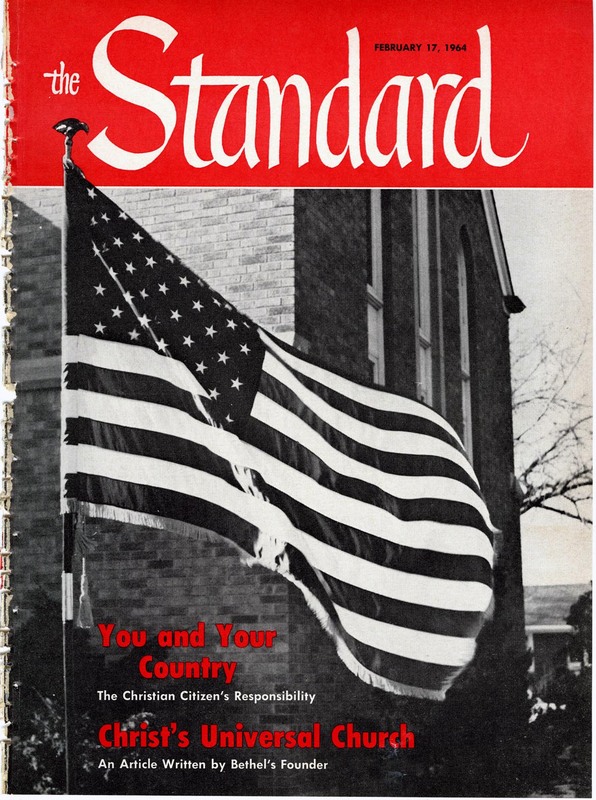 Like most evangelical publications during the early years of the war, the Standard was utterly silent on Vietnam until the middle of 1965. It was on June 7th of that year that the publication made first mention of the war in an editorial entitled “No Easy Answer.” Chief-editor Donald Anderson made no explicit political judgments, merely acknowledging at the outset that “The Vietnam situation is one of the many complex problems facing President Johnson.” Anderson was content to outline the positions of three well-known inter-church organizations. The first three – the Interreligious Committee on Vietnam, the Clergyman’s Emergency Committee for Vietnam, and the NCC – staked out positions ranging from pacifism (NCC) to active opposition to the government (CECV). The fourth, a Catholic group, supported Johnson. 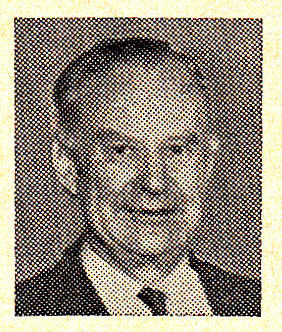 Anderson thus set the tone of the Conference’s response from mid 1965 through the Annual Conference in the summer of 1967. That two year period saw the Standard stake out a typically evangelical response to the war: affirming of the government’s policies (even while paradoxically fearing its intrusion onto their religious liberties), accepting of the domino theory and of a broadly anticommunist rhetoric (the latter, they suspected, was being undermined by leftist college faculty), focused mainly on news and informative updates, and connecting the war to missionary work overseas (Pratt 177-97). That last point merits expansion. Pratt identifies evangelicals as having “… placed the work of the Christian missionary alongside the work of the American soldier,” seeing “the two dimensions as related.” But while Pratt concluded that “it would not be fair or accurate to press this point much further than a simple recognition,” I’m not convinced that’s the case. True, the Standard never really develops a narrative focused on missionaries qua missionaries, but the magazine does develop a rhetoric of servicemen-as-missionaries — and those servicemen were, more often than not, chaplains. In significant ways, the Standard shows that BGC chaplains served as the primary mediators of the war to Conference laity. That mediation was, more often than not, connected to a missionary impulse that sought to merge the role of the chaplain and evangelistic efforts in southeast Asia. This was done in several ways. Chaplains appear in the Standard far more often than any other types of servicemen. At least four significant articles cover their activities, while only two articles speak of regular soldiers. The content of the articles bespeaks a missionary character. 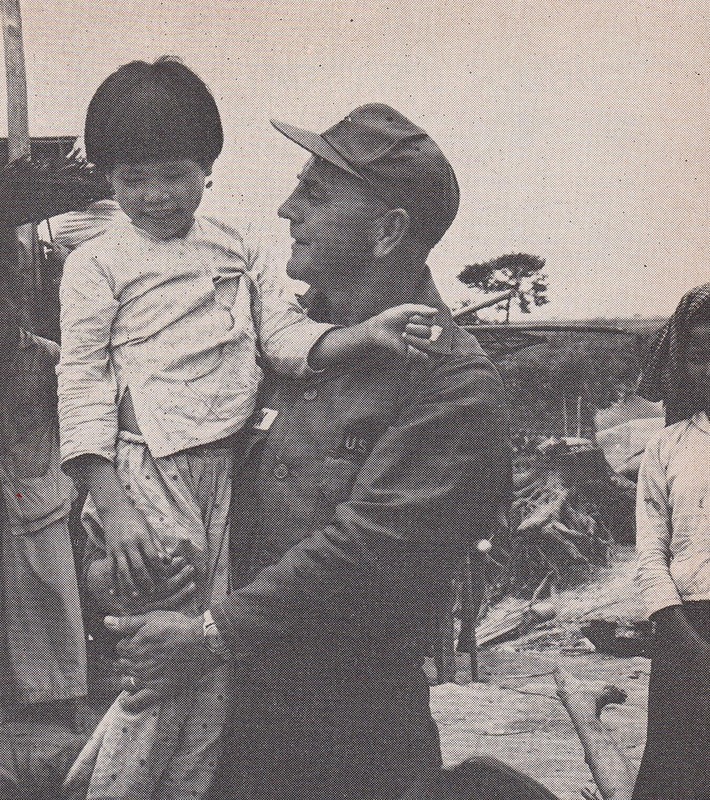 Liberally illustrated by photos of chaplains holding Vietnamese children and working among Vietnamese people, chaplain-centric articles are strikingly similar to those focusing on the Conference’s foreign missionaries. I suspect that the BGC’s perception of communism as an anti-Christian force, its acceptance of the domino theory, and its willingness to see the Vietnam War as a result of communist aggression allowed the Conference to cast chaplains as front-line soldiers in the global struggle against atheistic communism. If J. Edgar Hoover’s argument that communism could only take root if Christian commitment were lacking was accepted by the Conference, then chaplains played a crucial role; as ministers to American servicemen – both Christians and others – chaplains provided a bulwark against the spread of communist ideology. And in their close contact with the Vietnamese, chaplains functioned as soldier-missionaries to inoculate locals against the spread of communism. In this was, chaplains functioned as spiritual shock troops on the front lines in the battle against communism. Hundreds of thousands of American and Canadian overseas troops witnessed the brutality of war, observed the need of humanity, and returned wiser and braver. Many of these men now serve on Conference foreign missions fields and in the pastorate… We should pray for the men from our churches who are in Viet Nam. As a result of our praying, men we know who are in fox holes and helicopters and hospitals will not only know the protection of God but will sense the call of God to His service. If the BGC had exhibited a largely conservative evangelical response thus far, that consensus would begin to split over 1966-67. The first hint that the Conference was not unified came at the 1966 Annual Meeting, held in San Jose that year. While it would take another year for true dissent to break out openly in the Standard, the June 1966 meeting brought several important issues to light. Although the resolution was sent back to the Standing Committee, commentary on the process found in both the 1966 Annual Report and the August 29, 1966 issue of the Standard is illuminating. The Standard piece noted that the debate over the resolution centered squarely on the fourth action item — that the Conference “support any practical program” to lessen the chance of war. Such a provision was too ill-defined for many delegates who viewed it as a move towards a denominational pacifistic stance. The author recounted that while some delegates maintained “we’re not pacifists,” others were perfectly willing to accept that label if it reduced the likelihood of war. That same tension was highlighted in the minutes from the Annual Report, which recorded that “some fear was expressed that the wording of the resolution might be misconstrued and align us with questionable peace movements.” Beyond that single piece in the Standard, the 1966 resolution generated no other debate. From this, two things strike me as significant. Both suggest the distance that sometimes existed between the BGC and the prevailing evangelical ethos. First, from his study of evangelical groups, Pratt concludes that evangelicals strongly opposed ‘selective objectors’ – those who, unlike the historic peace churches, did not maintain a blanket pacifism but rather wished to evaluate whether participation in war was just on a case-by-case basis. The editors of Christianity Today, the leading evangelical publication, sharply criticized these “selective objectors”: “The protests of many of the objectors seemed less than conscientious and definitely lawless” (Pratt, 190). Second, while it was the horror with which nuclear war was viewed that compelled me to select the text for this post’s epigraph, that kind of abhorrence of the possibility of nuclear war was not only rare among conservative evangelicals, it was nearly non-existent, at least according to Bogaski. Indeed, Bogaski found startling results in a 1969 poll of Southern Baptists: “nearly forty percent of parishioners … favored continuing the war even if it meant triggering World War III and nuclear destruction (emphasis mine) (100). Bogaski roots that sort of nonchalance in conservative evangelical premillennial eschatology which required global destruction before Christ would return. But although the BGC shared a similar premillennial disposition, Conference baptists seem to have rejected the Southern Baptist conclusion. In this respect, the Conference is closest to American mainline denominations, whose opposition to the war was often provoked by exactly their fear of a nuclear holocaust. In the year between the 1966 and 1967 Annual Meetings, only three Vietnam articles appeared in the Standard – two news items and a small piece describing how a Bethel professor sent aid packages to Vietnamese doctors. 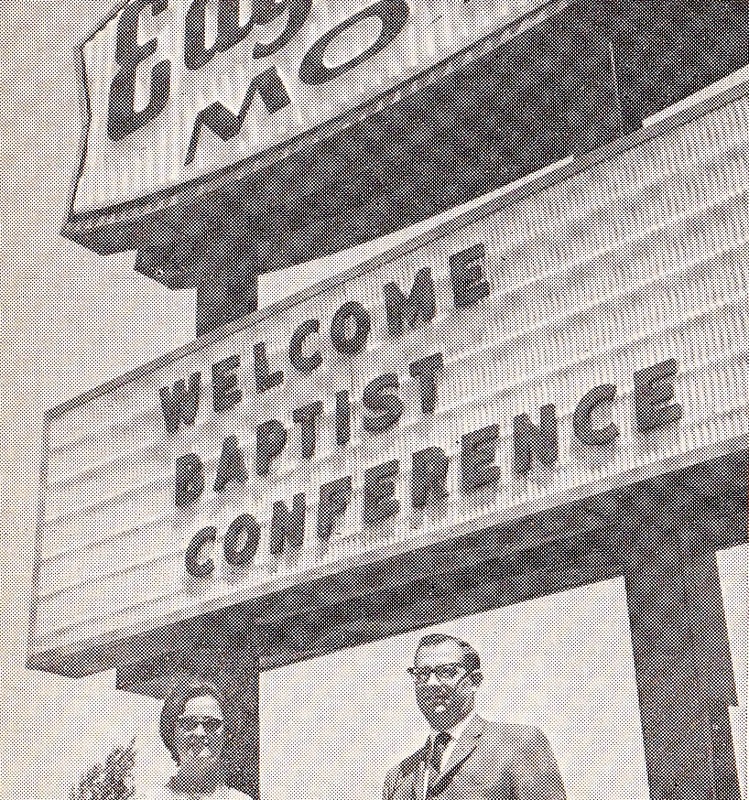 In June 1967, Conference delegates convened in Duluth, Minnesota for the 88th Annual Meeting. There, they considered, for the second time, the proposed resolution on war and peace. And again, they voted return the resolution to committee. But this time, the lack of corporate action provoked a response in the Conference. Beginning with editor Donald Anderson in July, the Standard saw five lengthy letters to the editor expressing a variety of positions on Vietnam. Anderson, writing on July 17th, castigated the Conference for failing to speak on Vietnam. Pointing to other denominational meetings where “entire days are given to formulating resolutions on the war,” the editor advanced a three pronged argument. First, Anderson rejected the notion that the Bible taught pacifism, and regardless, questioned whether the doctrine wasn’t a threat to national security. Second, Anderson made a comparison between Vietnam and pre-war Anglo-German relations, asserting that Germany’s aggression might have been averted by an earlier British military intervention. The editorial concluded by dismissing antiwar arguments as founded in a lack of familiarity with the facts in southeast Asia. The next author to respond was Reverend John Dischinger of Connecticut. Dischinger’s central argument was that although the preservation of life and peace are high goods, they are not the highest. The highest good for Dischinger was the proclamation of the gospel. Forced to choose between preserving life and preserving the freedom to spread the gospel, Dischinger committed himself to supporting the war. Doing so, he thought, would open Vietnam to the gospel. 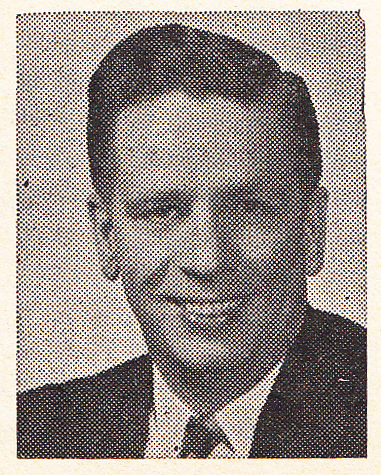 Then in the October 23, 1967 Standard, Wallis Turner, a Californian, wrote a response to Butcher, whom he criticized as displaying an uncharitable posture towards “those of use who disagree [with the dove position] and who believe our convictions to be carefully considered and Christian.” Turner’s letter had nothing to say to Anderson or Dischinger, and in the end, devolved into a complicated exegetical argument as to why, exactly, Butcher’s scriptural analysis was wrong. And finally, Ralph Buscarello’s letter of October 23, 1967 marked the last response to Anderson’s initial editorial. I find Buscarello’s letter the most insightful of the five. Although the Coloradan opened his letter by acknowledging the domino theory espoused by Anderson, he immediately dismissed it, saying “as a Christian I still cannot reconcile the injustices, horrors and the agonies that we have perpetrated on a small nation for the sake of protecting ourselves.” His reason for doing so went far beyond the insights offered by the other four; Buscarello served in the Pacific during WWII and was stationed in China after the war. There, he saw what attraction communism harbored to a society trapped in “feudalistic agony.” The communists were, he wrote, “the only group that would offer any hope for a change.” Although the United States was able to give the Chinese nationalists war materiel, they were “not able to supply a spirit to the Chinese people.” The communists were able to do exactly that, which is why, Buscarello argued, they were able to conquer the country so quickly when the Japanese had failed to do so over more than a decade of occupation. “I hate communism as much as any man,” Buscarello wrote, but he did recognize why the ideology was attractive, and the policies the United States was pursuing in Vietnam were not effective. What do these five opinion pieces tell us? Well, after the silence of 1964 through mid-1965, the unified conservative evangelical response of mid-1965 through mid-1967, and the hints of mainline inspiration at the 1966 Annual Meeting, these four articles suggest that the unity of Conference response was beginning to splinter. Two positions seem inchoate: a conservative evangelical response – typified by Anderson – that supported the war and an evangelical dissent – seen simplistically in Butcher and in a more nuanced form in Buscarello – which borrowed from mainline critiques of the war. Join me next time when we’ll examine the peak years of the war: 1968-69. Until then and as always, comments below or to our email (bethelatwar@gmail.com) are welcome. >>> Read Part 4 here.